Haryana sports minister Anil Vij on Saturday slammed shooter Manu Bhaker for creating controversy over prize money and asked her to focus on the sport. 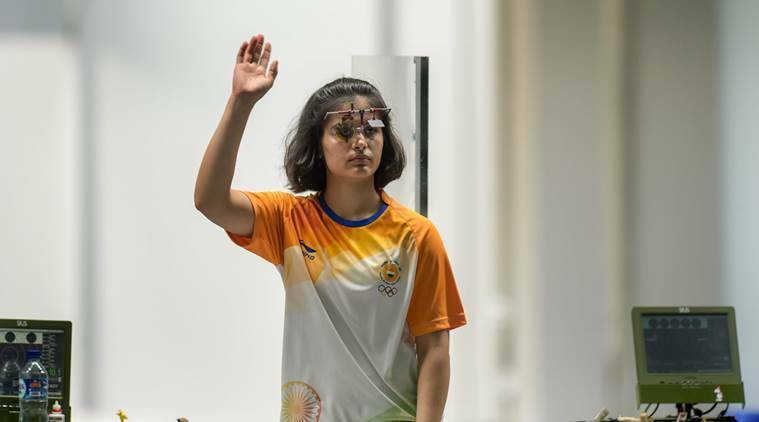 Haryana sports minister Anil Vij on Saturday slammed shooter Manu Bhaker for creating controversy over prize money and asked her to focus on the sport. Vij’s response came a day after the Commonwealth Games gold winning shooter Manu Bhaker reminded Haryana sports minister Anil Vij of a Rs 2 crore cash award promise made at the time she won the gold medal at Youth Olympic Games. In a series of tweets, Vij wrote that Bhaker should have confirmed with the sports department about the issue rather than going public. “Manu Bhaker should have first confirmed it from the Sports Deptt. before going to public domain. It is disgusting to denounce a State Govt which is giving highest awards in the Country. Bhaker will will will get 2 crores as tweated by me and as per notification at that time,” he said in a tweet. He further went on to add that the 16-year-old shooter should apologise for her actions. “There should be some sense of decipline (sic) in players. Bhaker should feel sorry for creating this controversy. She has a long way to go. She should focus on her game only,” he wrote. The pistol shooter, hailing from Goria village in Jhajjar, posted screenshots of Vij’s tweet on Friday in which he had promised her cash award to the tune of Rs 2 crore on behalf of the state government. “Sir Please confirm if it is correct… Or just Jumla (sic),” Bhaker wrote on Twitter. Bhaker also felt that someone in the Haryana government has been playing “games” with the money that was to be awarded to the medallists. As per the state government’s changed policy, which came into effect before the Youth Olympics, Rs 2 crore was marked for the gold medallists, Rs 1.25 crore for silver medallists and Rs 80 lakh for the bronze winners. Before that, the YOG medallists would get Rs 10 lakh, Rs 7.5 lakh and Rs 5 lakh in descending order.